Click on the link above to open our zine library catalogue, hosted on Artstor's Public Collections. Make sure to check off the "Search within results" box next to the search box to search for zines in our collection. You can search by titles, creators, subject, or materials. Get in touch with Marta at mchudolinska@ocadu.ca if you're having any trouble searching for zines! The OCAD U Zine Library is an ever-growing collection of self-published and handmade objects located in the Learning Zone at OCAD University. The collection was created to inspire, educate and entertain, to encourage collaboration between OCAD U students and to open up the world of zines for readers and creators everywhere! 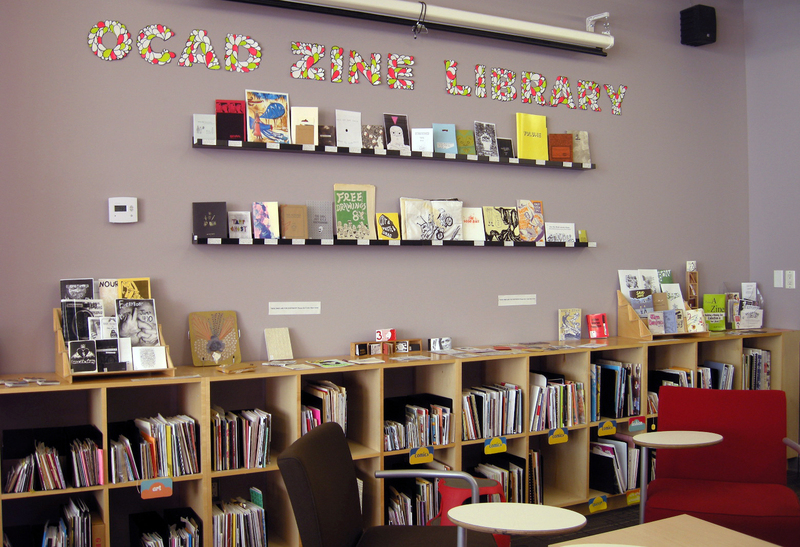 Members of the public are welcome to visit the zine library any time the Learning Zone is open. Please refer to the Learning Zone hours before your visit. The Learning Zone is a secured space, requiring card swipe access. Members of the public may simply knock on the door and indicate to the staff that they would like to view the zine collection to gain access. The OCAD Zine Library has been built from generous donations from zinesters at OCAD University, in Toronto and worldwide. If you would like to share your zines or have a collection of your own that needs a home, the OCAD Zine Library will happily collect, preserve and share these publications for many years to come. We are eternally grateful for all of our zine donors, big and small. Special thanks go out to Broken Pencil Magazine for their generous donations of review zines. By sending your donation, you consent to have the cover of your zine scanned for use in our Zine Library catalog, to improve access to the collection through searching and browsing. Welcome to the OCAD U Zine Library! OCAD U Zine Library on Facebook Follow our facebook page for updates and events regarding our collection. OCAD U Zine Collective Facebook Group A group for OCAD U students who want to communicate and collaborate on zines and gain zine making skills and exposure to zine culture. Make sure to "Search within results" to search for items in the Zine Library. If this box is not selected, your search will retrieve items from all Artstor Public Collections. Click on any image or title in the search results to access the full record for each zine. If you are planning to visit the collection in person, write down the Accession number of the zines you'd like to see. They indicate the location of the zine on the shelf. Staff in the Learning Zone can help you find it if you're having any trouble. If you're having trouble finding zines on a specific topic, try changing up your search terms or using synonyms for the search term. 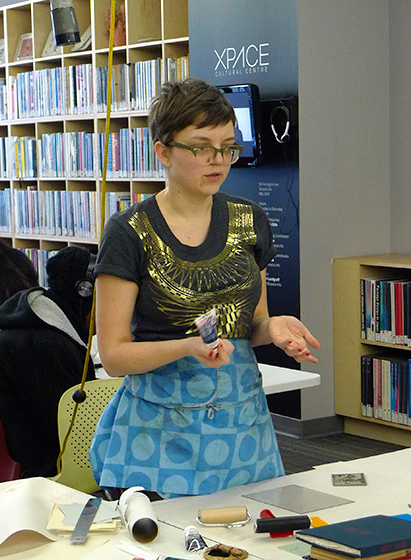 Or email Zine Librarian Marta at mchudolinska@ocadu.ca for a personal search consultation. This comprehensive and regularly updated site includes extensive references, information, interviews, articles and links about zines and e-zines. A basic introductory zine resource, originally published in Zine World. An online community/social network for zine makers and readers. A comprehensive guide to self-publishing, covering offset printing, print on demand, hardcover and paperback binding. Founded in 1995 and based in Toronto, Canada, Broken Pencil is a print magazine published four times a year. Broken Pencil reviews the best zines, books, websites, videos and music from the underground and reprints the best articles from the alternative press. Also features ground breaking interviews, original fiction, and commentary on all aspects of the independent arts.